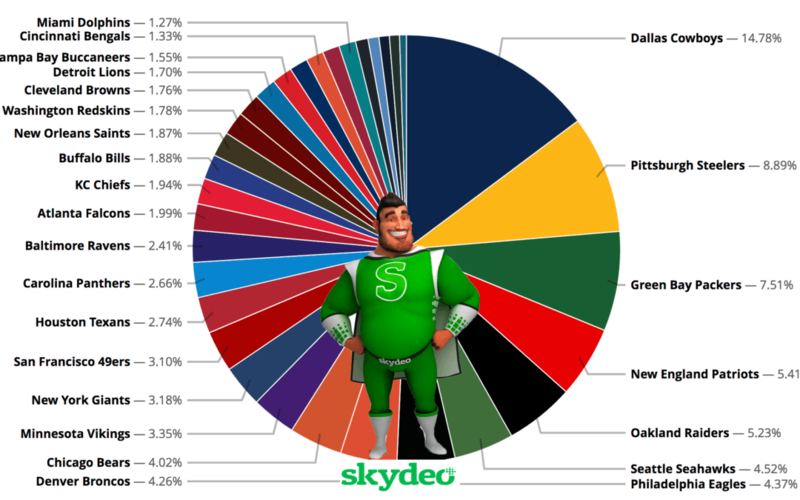 The NFL Playoffs were in full swing this weekend so we fired up the Skydeo Insights machine while we watched. Which NFL team is the most popular with fans? Who is really “America’s Team”? What impact does fan popularity have on team success? Skydeo used our panel of 850 million unique mobile devices to survey NFL fans from the 2017 season. For the purposes of this analysis, fan market share or popularity is based on the mobile app downloads of each NFL team. How did your team do?